Meditation using The Muse has been shown to reduce anxiety. So I have been trying it out myself and have introduced it to patients who have expressed an interest in meditation to try in session. The demo meditation is only three minutes but even in three minutes one can calm the mind. Less time even, once you are used to how the mind works. The Muse is just one of many options and interventions I offer patients to help them overcome anxiety and depressed mood. 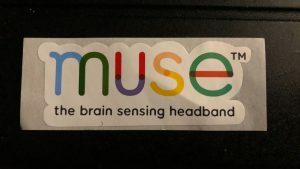 I keep a spare Muse headband in my office for people to try out in the office during their sessions. 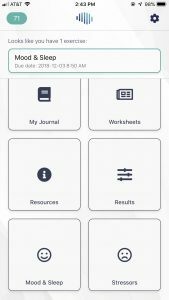 Another option I offer is access to EngageBH by NeuroFlow, which is a very helpful app you can work with between sessions. 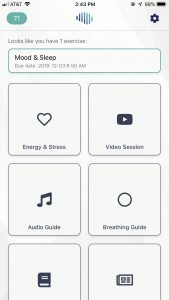 It provides space to journal, record daily moods and sleep patterns, guided meditation, breathing to relax, and biometric biofeedback. If you are interested in trying any of these technologies, please give me a call or send me an email to discuss how we can work together. You can start the New Year off with new and effective coping strategies and a more peaceful state of mind.